Dr. Jim De Yoreo will give the Turnbull lecture at the 2016 MRS Fall Meeting in Boston on November 29 at 6 pm. Congratulations to Dr. Jim De Yoreo, Pacific Northwest National Laboratory, on receiving the 2016 David Turnbull Lectureship. This honor, presented by the Materials Research Society (MRS), recognizes how De Yoreo's work has shaped the world's understanding of crystallization science. Throughout his career, De Yoreo has pioneered the use of in situ imaging techniques to see how materials form in inorganic, biomolecular, and biomineral systems. He was the first to visualize multi-step self-assembly of proteins and oriented attachment in mineral systems. Further, this American Physical Society and MRS Fellow designed novel ways to create functional materials using template-driven synthesis. At PNNL, he leads the Materials Synthesis and Simulation Across Scales Initiative, MS3. The initiative advances scalable synthesis of materials for clean energy applications by understanding the underlying mechanisms of materials formation. A respected member of the scientific community, De Yoreo has served in the MRS and mentored early career scientists. He has written or co-written over 200 articles and earned several patents. He's received awards from the International Organization for Crystal Growth and the American Association for Crystal Growth, among others. 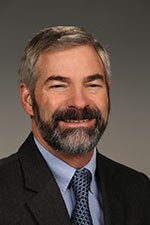 He is as an Affiliate Professor of Materials Science and Engineering and of Chemistry at the University of Washington. De Yoreo will give the Turnbull lecture at the 2016 MRS Fall Meeting in Boston on November 29 at 6 pm. The talk will be used in a live webinar with the MRS University Chapters.